Psilocybine is a tryptamine alkaloid, isolated from various genera of fungi including the genus Psilocybe, with hallucinogenic, anxiolytic, and psychoactive activities. In vivo, psilocybine is rapidly dephosphorylated into the active compound psilocin, which activates serotonin 2A (5-HT2A) receptors in the central nervous system (CNS), mimicking the effects of serotonin. Psilocybin[nb 1] (/ˌsaɪləˈsaɪbɪn/ sy-lə-SY-bin) is a naturally occurring psychedelic prodrug compound produced by more than 200 speciesof mushrooms, collectively known as psilocybin mushrooms. Psilocybin evolved in mushrooms from its ancestor, muscarine, some 20 million years ago. The most potent are members of the genus Psilocybe, such as P. azurescens, P. semilanceata, and P. cyanescens, but psilocybin has also been isolated from about a dozen other genera. As a prodrug, psilocybin is quickly converted by the body to psilocin, which has mind-altering effects similar, in some aspects, to those of LSD, mescaline, and DMT. In general, the effects include euphoria, visual and mental hallucinations, changes in perception, a distorted sense of time, and spiritual experiences, and can include possible adverse reactions such as nausea and panic attacks. Imagery found on prehistoric murals and rock paintings of modern-day Spain and Algeria suggests that human usage of psilocybin mushrooms predates recorded history. In Mesoamerica, the mushrooms had long been consumed in spiritual and divinatoryceremonies before Spanish chroniclers first documented their use in the 16th century. In a 1957 Life magazine article, American banker and ethnomycologist R. Gordon Wasson described his experiences ingesting psilocybin-containing mushrooms during a traditional ceremony in Mexico, introducing the substance to popular culture. 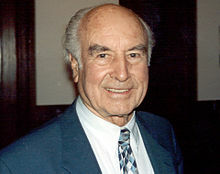 In 1959, the Swiss chemist Albert Hofmann isolated the active principle psilocybin from the mushroom Psilocybe mexicana. Hofmann’s employer Sandoz marketed and sold pure psilocybin to physicians and clinicians worldwide for use in psychedelic psychotherapy. Although the increasingly restrictive drug laws of the late 1960s curbed scientific research into the effects of psilocybin and other hallucinogens, its popularity as an entheogen (spirituality-enhancing agent) grew in the next decade, owing largely to the increased availability of information on how to cultivate psilocybin mushrooms. Some users of the drug consider it an entheogen and a tool to supplement practices for transcendence, including meditation and psychonautics. The intensity and duration of the effects of psilocybin are variable, depending on species or cultivar of mushrooms, dosage, individual physiology, and set and setting, as was shown in experiments led by Timothy Leary at Harvard University in the early 1960s. Once ingested, psilocybin is rapidly metabolized to psilocin, which then acts on serotonin receptors in the brain. The mind-altering effects of psilocybin typically last from two to six hours, although to individuals under the influence of psilocybin, the effects may seem to last much longer, since the drug can distort the perception of time. Psilocybin has a low toxicity and a relatively low harm potential, and reports of lethal doses of the drug are rare. Several modern bioanalytical methods have been adapted to rapidly and accurately screen the levels of psilocybin in mushroom samples and body fluids. Since the 1990s, there has been a renewal of scientific research into the potential medical and psychological therapeutic benefits of psilocybin for treating conditions including obsessive-compulsive disorder (OCD), post-traumatic stress disorder, social anxiety, treatment-resistant depression, cluster headaches, and anxiety related to terminal cancer. Possession of psilocybin-containing mushrooms has been outlawed in most countries, and it has been classified as a scheduled drug by many national drug laws. The effects of psilocybin are highly variable and depend on the mindset and environment in which the user has the experience, factors commonly referred to as set and setting. In the early 1960s, Timothy Leary and colleagues at Harvard University investigated the role of set and setting on the effects of psilocybin. They administered the drug to 175 volunteers from various backgrounds in an environment intended to be similar to a comfortable living room. Ninety-eight of the subjects were given questionnaires to assess their experiences and the contribution of background and situational factors. Individuals who had experience with psilocybin prior to the study reported more pleasant experiences than those for whom the drug was novel. Group size, dosage, preparation, and expectancy were important determinants of the drug response. In general, those placed in groups of more than eight individuals felt that the groups were less supportive, and their experiences were less pleasant. Conversely, smaller groups (fewer than six individuals) were seen as more supportive. Participants also reported having more positive reactions to the drug in those groups. Leary and colleagues proposed that psilocybin heightens suggestibility, making an individual more receptive to interpersonal interactions and environmental stimuli. These findings were affirmed in a later review by Jos ten Berge (1999), who concluded that dosage, set, and setting were fundamental factors in determining the outcome of experiments that tested the effects of psychedelic drugs on artists’ creativity. After ingesting psilocybin, a wide range of subjective effects may be experienced: feelings of disorientation, lethargy, giddiness, euphoria, joy, and depression. About a third of users report feelings of anxiety or paranoia. Low doses of the drug can induce hallucinatory effects. Closed-eye hallucinations may occur, in which the affected individual sees multicolored geometric shapes and vivid imaginative sequences. Some individuals report experiencing synesthesia, such as tactile sensations when viewing colors. At higher doses, psilocybin can lead to “Intensification of affective responses, enhanced ability for introspection, regression to primitive and childlike thinking, and activation of vivid memory traces with pronounced emotional undertones”. Open-eye visual hallucinations are common, and may be very detailed although rarely confused with reality. A 2011 prospective study by Roland R. Griffiths and colleagues suggests that a single high dosage of psilocybin can cause long-term changes in the personality of its users. About half of the study participants—described as healthy, “spiritually active”, and many possessing postgraduate degrees—showed an increase in the personality dimension of openness (assessed using the Revised NEO Personality Inventory), and this positive effect was apparent more than a year after the psilocybin session. According to the study authors, the finding is significant because “no study has prospectively demonstrated personality change in healthy adults after an experimentally manipulated discrete event.” Although other researchers have described instances of psychedelic drug usage leading to new psychological understandings and personal insights, it is not known whether these experimental results can be generalized to larger populations. Common responses include: pupil dilation (93%); changes in heart rate (100%), including increases (56%), decreases (13%), and variable responses (31%); changes in blood pressure (84%), including hypotension (34%), hypertension (28%), and general instability (22%); changes in stretch reflex (86%), including increases (80%) and decreases (6%); nausea (44%); tremor (25%); and dysmetria (16%) (inability to properly direct or limit motions). [nb 2] The temporary increases in blood pressure caused by the drug can be a risk factor for users with pre-existing hypertension. These qualitative somatic effects caused by psilocybin have been corroborated by several early clinical studies. A 2005 magazine survey of club goers in the UK found that nausea or vomiting was experienced by over a quarter of those who had used psilocybin mushrooms in the last year, although this effect is caused by the mushroom rather than psilocybin itself. In one study, administration of gradually increasing dosages of psilocybin daily for 21 days had no measurable effect on electrolyte levels, blood sugar levels, or liver toxicity tests. Psilocybin is known to strongly influence the subjective experience of the passage of time. Users often feel as if time is slowed down, resulting in the perception that “minutes appear to be hours” or “time is standing still”. Studies have demonstrated that psilocybin significantly impairs subjects’ ability to gauge time intervals longer than 2.5 seconds, impairs their ability to synchronize to inter-beat intervals longer than 2 seconds, and reduces their preferred tapping rate. These results are consistent with the drug’s role in affecting prefrontal cortex activity, and the role that the prefrontal cortex is known to play in time perception. However, the neurochemical basis of psilocybin’s effects on the perception of time are not known with certainty. Psilocybin mushrooms have been and continue to be used in indigenous New World cultures in religious, divinatory, or spiritual contexts. Reflecting the meaning of the word entheogen (“the god within”), the mushrooms are revered as powerful spiritual sacraments that provide access to sacred worlds. Typically used in small group community settings, they enhance group cohesion and reaffirm traditional values. Terence McKenna documented the worldwide practices of psilocybin mushroom usage as part of a cultural ethosrelating to the Earth and mysteries of nature, and suggested that mushrooms enhanced self-awareness and a sense of contact with a “Transcendent Other”—reflecting a deeper understanding of our connectedness with nature. Psychedelic drugs can induce states of consciousness that have lasting personal meaning and spiritual significance in individuals who are religious or spiritually inclined; these states are called mystical experiences. Some scholars have proposed that many of the qualities of a drug-induced mystical experience are indistinguishable from mystical experiences achieved through non-drug techniques, such as meditation or holotropic breathwork. In the 1960s, Walter Pahnke and colleagues systematically evaluated mystical experiences (which they called “mystical consciousness”) by categorizing their common features. These categories, according to Pahnke, “describe the core of a universal psychological experience, free from culturally determined philosophical or theological interpretations”, and allow researchers to assess mystical experiences on a qualitative, numerical scale. A group of researchers from Johns Hopkins School of Medicine led by Griffiths conducted a study to assess the immediate and long-term psychological effects of the psilocybin experience, using a modified version of the mystical experience questionnaire and a rigorous double-blind procedure. 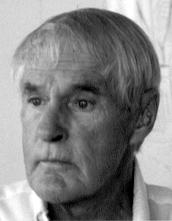 When asked in an interview about the similarity of his work with Leary’s, Griffiths explained the difference: “We are conducting rigorous, systematic research with psilocybin under carefully monitored conditions, a route which Dr. Leary abandoned in the early 1960s.” The National Institute of Drug Abuse-funded study, published in 2006, has been praised by experts for the soundness of its experimental design. [nb 3] In the experiment, 36 volunteers without prior experience with hallucinogens were given psilocybin and methylphenidate (Ritalin) in separate sessions; the methylphenidate sessions served as a control and psychoactive placebo. The degree of mystical experience was measured using a questionnaire developed by Ralph W. Hood; 61% of subjects reported a “complete mystical experience” after their psilocybin session, while only 13% reported such an outcome after their experience with methylphenidate. Two months after taking psilocybin, 79% of the participants reported moderately to greatly increased life satisfaction and sense of well-being. About 36% of participants also had a strong to extreme “experience of fear” or dysphoria (i.e., a “bad trip”) at some point during the psilocybin session (which was not reported by any subject during the methylphenidate session); about one-third of these (13% of the total) reported that this dysphoria dominated the entire session. These negative effects were reported to be easily managed by the researchers and did not have a lasting negative effect on the subject’s sense of well-being. In 2011, Griffiths and colleagues published the results of further studies designed to learn more about the optimum psilocybin doses needed for positive life-changing experiences, while minimizing the chance of negative reactions. In a 14-month followup, the researchers found that 94% of the volunteers rated their experiences with the drug as one of the top five most spiritually significant of their lives (44% said it was the single most significant). None of the 90 sessions that took place throughout the study were rated as decreasing well-being or life satisfaction. Moreover, 89% reported positive changes in their behaviors as a result of the experiences. The conditions of the experimental design included a single drug experience a month, on a couch, in a living-room-like setting, with eye shades and carefully chosen music (classical and world music). As an additional precaution to guide the experience, as with the 2006 study, the 2011 study included a “monitor” or “guide” whom the volunteers supposedly trusted. The monitors provided gentle reassurance when the volunteers experienced anxiety. The volunteers and monitors all remained blind to the exact dosages for the purpose of the experiment. Although psilocybin may be prepared synthetically, outside of the research setting, it is not typically used in this form. The psilocybin present in certain species of mushrooms can be ingested in several ways: by consuming fresh or dried fruit bodies, by preparing a herbal tea, or by combining with other foods to mask the bitter taste. In rare cases people have injected mushroom extracts intravenously. Most of the comparatively few fatal incidents reported in the literature that are associated with psychedelic mushroom usage involve the simultaneous use of other drugs, especially alcohol. Probably the most common cause of hospital admissions resulting from psychedelic mushroom usage involve “bad trips” or panic reactions, in which affected individuals become extremely anxious, confused, agitated, or disoriented. Accidents, self-injury, or suicide attempts can result from serious cases of acute psychotic episodes. Although no studies have linked psilocybin with birth defects, it is recommended that pregnant women avoid its usage. Panic reactions can occur after consumption of psilocybin-containing mushrooms, especially if the ingestion is accidental or otherwise unexpected. Reactions characterized by violent behavior, suicidal thoughts, schizophrenia-like psychosis, and convulsions have been reported in the literature. A 2005 survey conducted in the United Kingdom found that almost a quarter of those who had used psilocybin mushrooms in the past year had experienced a panic attack. Other adverse effects less frequently reported include paranoia, confusion, prolonged derealization (disconnection from reality), and mania. Psilocybin usage can temporarily induce a state of depersonalization disorder. Usage by those with schizophrenia can induce acute psychotic states requiring hospitalization. The similarity of psilocybin-induced symptoms to those of schizophrenia has made the drug a useful research tool in behavioral and neuroimaging studies of this psychotic disorder. In both cases, psychotic symptoms are thought to arise from a “deficient gating of sensory and cognitive information” in the brain that ultimately lead to “cognitive fragmentation and psychosis”. Flashbacks (spontaneous recurrences of a previous psilocybin experience) can occur long after having used psilocybin mushrooms. Hallucinogen persisting perception disorder (HPPD) is characterized by a continual presence of visual disturbances similar to those generated by psychedelic substances. Neither flashbacks nor HPPD are commonly associated with psilocybin usage, and correlations between HPPD and psychedelics are further obscured by polydrug use and other variables. Repeated use of psilocybin does not lead to physical dependence. A 2008 study concluded that, based on US data from the period 2000–2002, adolescent-onset (defined here as ages 11–17) usage of hallucinogenic drugs (including psilocybin) did not increase the risk of drug dependence in adulthood; this was in contrast to adolescent usage of cannabis, cocaine, inhalants, anxiolytic medicines, and stimulants, all of which were associated with “an excess risk of developing clinical features associated with drug dependence”.Likewise, a 2010 Dutch study ranked the relative harm of psilocybin mushrooms compared to a selection of 19 recreational drugs, including alcohol, cannabis, cocaine, ecstasy, heroin, and tobacco. Psilocybin mushrooms were ranked as the illicit drug with the lowest harm, corroborating conclusions reached earlier by expert groups in the United Kingdom. Monoamine oxidase inhibitors (MAOI) have been known to prolong and enhance the effects of psilocybin. Alcohol consumption may enhance the effects of psilocybin, because acetaldehyde, one of the primary breakdown metabolites of consumed alcohol, reacts with biogenic amines present in the body to produce MAOIs related to tetrahydroisoquinolineand β-carboline. Tobacco smokers may also experience more powerful effects with psilocybin, because tobacco smoke exposure decreases the activity of MAO in the brain and peripheral organs. The neurotransmitter serotoninis structurally similar to psilocybin. Psilocybin is rapidly dephosphorylated in the body to psilocin, which is a partial agonist for several serotonin receptors, which are also known as 5-hydroxytryptamine (5-HT) receptors. Psilocin has a high affinity for the 5-HT2B and 5-HT2C receptors in the human brain, and with a slightly lower affinity for the 5-HT2A receptor. Psilocin binds with low affinity to 5-HT1 receptors, including 5-HT1A and 5-HT1D. Serotonin receptors are located in numerous parts of the brain, including the cerebral cortex, and are involved in a wide range of functions, including regulation of moodand motivation. The psychotomimetic (psychosis-mimicking) effects of psilocin can be blocked in a dose-dependent fashion by the 5-HT2Aantagonist drug ketanserin. Various lines of evidence have shown that interactions with non-5-HT2 receptors also contribute to the subjective and behavioral effects of the drug. [nb 5] For example, psilocin indirectly increases the concentration of the neurotransmitter dopamine in the basal ganglia, and some psychotomimetic symptoms of psilocin are reduced by haloperidol, a non-selective dopamine receptor antagonist. Taken together, these suggest that there may be an indirect dopaminergic contribution to psilocin’s psychotomimetic effects. Unlike LSD, which binds to D2-like dopamine receptors in addition to having strong affinity for several 5-HT receptors, psilocybin and psilocin have no affinity for the dopamine D2 receptors. The effects of the drug begin 10–40 minutes after ingestion, and last 2–6 hours depending on dose, species, and individual metabolism. The half life of psilocybin is 163 ± 64 minutes when taken orally, or 74.1 ± 19.6 minutes when injected intravenously. A dosage of 4–10 mg, corresponding roughly to 50–300 micrograms per kilogram (µg/kg) of body weight, is required to induce psychedelic effects. A typical recreational dosage is 10–50 mg psilocybin, which is roughly equivalent to 10–50 grams of fresh mushrooms, or 1–5 grams of dried mushrooms. A small number of people are unusually sensitive to psilocybin, such that a normally threshold-level dose of about 2 mg can result in effects usually associated with medium or high doses. In contrast, there are some who require relatively high doses to experience noticeable effects. Individual brain chemistry and metabolism play a large role in determining a person’s response to psilocybin. Psilocybin is metabolized mostly in the liver. As it becomes converted to psilocin, it undergoes a first-pass effect, whereby its concentration is greatly reduced before it reaches the systemic circulation. Psilocin is broken down by the enzyme monoamine oxidase to produce several metabolites that can circulate in the blood plasma, including 4-hydroxyindole-3-acetaldehyde, 4-hydroxytryptophol, and 4-hydroxyindole-3-acetic acid. Some psilocin is not broken down by enzymes and instead forms a glucuronide; this is a biochemical mechanism animals use to eliminate toxic substances by linking them with glucuronic acid, which can then be excreted in the urine. Psilocin is glucuronated by the glucuronosyltransferase enzymes UGT1A9 in the liver, and by UGT1A10 in the small intestine. Based on studies using animals, about 50% of ingested psilocybin is absorbed through the stomach and intestine. Within 24 hours, about 65% of the absorbed psilocybin is excreted into the urine, and a further 15–20% is excreted in the bile and feces. Although most of the remaining drug is eliminated in this way within 8 hours, it is still detectable in the urine after 7 days. Clinical studies show that psilocin concentrations in the plasma of adults average about 8 µg/liter within 2 hours after ingestion of a single 15 mg oral psilocybin dose; psychological effects occur with a blood plasma concentration of 4–6 µg/liter.Psilocybin is about 100 times less potent than LSD on a weight per weight basis, and the physiological effects last about half as long. Psilocybin (O-phosphoryl-4-hydroxy-N,N–dimethyltryptamine, 4-PO-Psilocin, or 4-PO-HO-DMT) is a prodrug that is converted into the pharmacologically active compound psilocin in the body by a dephosphorylation reaction. This chemical reaction takes place under strongly acidic conditions, or under physiological conditions in the body, through the action of enzymes called alkaline phosphatases. Psilocybin is a tryptamine compound with a chemical structure containing an indole ring linked to an ethylamine substituent. It is chemically related to the amino acid tryptophan, and is structurally similar to the neurotransmitter serotonin. Psilocybin is a member of the general class of tryptophan-based compounds that originally functioned as antioxidants in earlier life forms before assuming more complex functions in multicellular organisms, including humans. 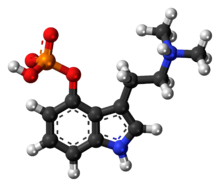 Other related indole-containing psychedelic compounds include dimethyltryptamine, found in many plant species and in trace amounts in some mammals, and bufotenine, found in the skin of psychoactive toads. Psilocybin is an alkaloid that is soluble in water, methanol and aqueous ethanol, but insoluble in organic solvents like chloroform and petroleum ether. Its pKa values are estimated to be 1.3 and 6.5 for the two successive phosphate OH groups and 10.4 for the dimethylamine nitrogen, so in general it exists as a zwitterionic structure. Exposure to light is detrimental to the stability of aqueous solutions of psilocybin, and will cause it to rapidly oxidize—an important consideration when using it as an analytical standard. Osamu Shirota and colleagues reported a method for the large-scale synthesis of psilocybin without chromatographic purification in 2003. Starting with 4-hydroxyindole, they generated psilocybin from psilocin in 85% yield, a marked improvement over yields reported from previous syntheses. Purified psilocybin is a white, needle-like crystalline powderwith a melting point between 220–228 °C (428–442 °F), and a slightly ammonia-like taste. Biosynthetically, the biochemical transformation from tryptophan to psilocybin involves several enzyme reactions: decarboxylation, methylation at the N9 position, 4-hydroxylation, and O–phosphorylation. Isotopic labeling experiments suggest that tryptophan decarboxylation is the initial biosynthetic step and that O-phosphorylation is the final step.) The sequence of the intermediate enzymatic steps has been shown to involve 4 different enzymes (PsiD, PsiH, PsiK, and PsiM) in P. cubensis and P. cyanescens, although the biosynthetic pathway may differ between species. A possible biosynthetic route to psilocybin. Although the order of the first (decarboxylation) and last (phosphorylation) steps are known, the details of the hypothetical intracellular (de-) phosphorylation are speculative. Several relatively simple chemical tests — commercially available as reagent testing kits — can be used to assess the presence of psilocybin in extracts prepared from mushrooms. The drug reacts in the Marquis test to produce a yellow color, and a green color in the Mandelin test. Neither of these tests, however, is specific for psilocybin; for example, the Marquis test will react with many classes of controlled drugs, such as those containing primary amino groups and unsubstituted benzene rings, including amphetamine and methamphetamine. Ehrlich’s reagent and DMACA reagent are used as chemical sprays to detect the drug after thin layer chromatography. Many modern techniques of analytical chemistry have been used to quantify psilocybin levels in mushroom samples. Although the earliest methods commonly used gas chromatography, the high temperature required to vaporize the psilocybin sample prior to analysis causes it to spontaneously lose its phosphoryl group and become psilocin — making it difficult to chemically discriminate between the two drugs. In forensic toxicology, techniques involving gas chromatography coupled to mass spectrometry (GC–MS) are the most widely used due to their high sensitivity and ability to separate compounds in complex biological mixtures. These techniques include ion mobility spectrometry, capillary zone electrophoresis, ultraviolet spectroscopy, and infrared spectroscopy. High performance liquid chromatography (HPLC) is used with ultraviolet, fluorescence, electrochemical, and electrospraymass spectrometric detection methods. Psilocybin is present in varying concentrations in over 200 species of Basidiomycota mushrooms which evolved to produce the compound from muscarine some 20 million years ago. In a 2000 review on the worldwide distribution of hallucinogenic mushrooms, Gastón Guzmán and colleagues considered these to be distributed amongst the following genera: Psilocybe (116 species), Gymnopilus (14), Panaeolus (13), Copelandia (12), Hypholoma (6), Pluteus (6), Inocybe (6), Conocybe (4), Panaeolina (4), Gerronema (2) and Agrocybe, Galerina and Mycena(1 species each). Guzmán increased his estimate of the number of psilocybin-containing Psilocybe to 144 species in a 2005 review. The majority of these are found in Mexico (53 species), with the remainder distributed in the US and Canada (22), Europe (16), Asia (15), Africa (4), and Australia and associated islands (19). In general, psilocybin-containing species are dark-spored, gilled mushrooms that grow in meadows and woods of the subtropics and tropics, usually in soils rich in humus and plant debris. Psilocybin mushrooms occur on all continents, but the majority of species are found in subtropical humid forests. Psilocybe species commonly found in the tropics include P. cubensis and P. subcubensis. P. semilanceata — considered by Guzmán to be the world’s most widely distributed psilocybin mushroom — is found in Europe, North America, Asia, South America, Australia and New Zealand, but is entirely absent from Mexico. Although the presence or absence of psilocybin is not of much use as a chemotaxonomical marker at the familial level or higher, it is used to classify taxa of lower taxonomic groups. Global distribution of over 100 psychoactive species of Psilocybe genus mushrooms. Both the caps and the stems contain the psychoactive compounds, although the caps consistently contain more. The spores of these mushrooms do not contain psilocybin or psilocin. The total potency varies greatly between species and even between specimens of a species collected or grown from the same strain. Because most psilocybin biosynthesis occurs early in the formation of fruit bodies or sclerotia, younger, smaller mushrooms tend to have a higher concentration of the drug than larger, mature mushrooms. In general, the psilocybin content of mushrooms is quite variable (ranging from almost nothing to 1.5% of the dry weight) and depends on species, strain, growth and drying conditions, and mushroom size. Cultivated mushrooms have less variability in psilocybin content than wild mushrooms. The drug is more stable in dried than fresh mushrooms; dried mushrooms retain their potency for months or even years, while mushrooms stored fresh for four weeks contain only traces of the original psilocybin. The psilocybin contents of dried herbarium specimens of Psilocybe semilanceata in one study were shown to decrease with the increasing age of the sample: collections dated 11, 33, or 118 years old contained 0.84%, 0.67%, and 0.014% (all dry weight), respectively. Mature mycelia contain some psilocybin, while young mycelia (recently germinated from spores) lack appreciable amounts. Many species of mushrooms containing psilocybin also contain lesser amounts of the analog compounds baeocystin and norbaeocystin, chemicals thought to be biogenic precursors. Although most species of psilocybin-containing mushrooms bruise blue when handled or damaged due to the oxidization of phenolic compounds, this reaction is not a definitive method of identification or determining a mushroom’s potency. There is evidence to suggest that psychoactive mushrooms have been used by humans in religious ceremonies for thousands of years. Murals dated 9000 to 7000 BCE found in the Sahara desert in southeast Algeria depict horned beings dressed as dancers, clothed in garb decorated with geometrical designs, and holding mushroom-like objects. Parallel lines extend from the mushroom shapes to the center of the dancers’ heads. 6,000-year-old pictographs discovered near the Spanish town of Villar del Humo illustrate several mushrooms that have been tentatively identified as Psilocybe hispanica, a hallucinogenic species native to the area. Archaeological artifacts from Mexico, as well as the so-called Mayan “mushroom stones” of Guatemala have also been interpreted by some scholars as evidence for ritual and ceremonial usage of psychoactive mushrooms in the Mayan and Aztec cultures of Mesoamerica. In Nahuatl, the language of the Aztecs, the mushrooms were called teonanácatl, or “God’s flesh”. Following the arrival of Spanish explorers to the New World in the 16th century, chroniclers reported the use of mushrooms by the natives for ceremonial and religious purposes. According to the Dominican friar Diego Durán in The History of the Indies of New Spain (published c. 1581), mushrooms were eaten in festivities conducted on the occasion of the accession to the throne of Aztec emperor Moctezuma II in 1502. The Franciscan friar Bernardino de Sahagúnwrote of witnessing mushroom usage in his Florentine Codex (published 1545–1590), and described how some merchants would celebrate upon returning from a successful business trip by consuming mushrooms to evoke revelatory visions. After the defeat of the Aztecs, the Spanish forbade traditional religious practices and rituals that they considered “pagan idolatry”, including ceremonial mushroom use. For the next four centuries, the Indians of Mesoamerica hid their use of entheogens from the Spanish authorities. Although dozens of species of psychedelic mushrooms are found in Europe, there is little documented usage of these species in Old World history besides the use of Amanita muscaria among Siberian peoples. The few existing historical accounts about psilocybin mushrooms typically lack sufficient information to allow species identification, and usually refer to the nature of their effects. For example, Flemish botanist Carolus Clusius (1526–1609) described the bolond gomba (crazy mushroom), used in rural Hungary to prepare love potions. English botanist John Parkinson included details about a “foolish mushroom” in his 1640 herbal Theatricum Botanicum. The first reliably documented report of intoxication with Psilocybe semilanceata—Europe’s most common and widespread psychedelic mushroom—involved a British family in 1799, who prepared a meal with mushrooms they had picked in London’s Green Park. American banker and amateur ethnomycologist R. Gordon Wasson and his wife Valentina studied the ritual use of psychoactive mushrooms by the native population in the Mazatecvillage Huautla de Jiménez. In 1957, Wasson described the psychedelic visions that he experienced during these rituals in “Seeking the Magic Mushroom“, an article published in the popular American weekly Life magazine. Later the same year they were accompanied on a follow-up expedition by French mycologist Roger Heim, who identified several of the mushrooms as Psilocybe species. Heim cultivated the mushrooms in France, and sent samples for analysis to Albert Hofmann, a chemist employed by the Swiss multinational pharmaceutical company Sandoz (now Novartis). Hofmann, who had in 1938 created LSD, led a research group that isolated and identified the psychoactive compounds from Psilocybe mexicana. Hofmann was aided in the discovery process by his willingness to ingest mushroom extracts to help verify the presence of the active compounds.He and his colleagues later synthesized a number of compounds chemically related to the naturally occurring psilocybin, to see how structural changes would affect psychoactivity. The new molecules differed from psilocybin in the position of the phosphoryl or hydroxyl group at the top of the indole ring, and in the numbers of methyl groups (CH3) and other additional carbon chains. Two diethyl analogs (containing two ethyl groups in place of the two methyl groups) of psilocybin and psilocin were synthesized by Hofmann: 4-phosphoryloxy-N,N-diethyltryptamine, called CEY-19, and 4-hydroxy-N,N-diethyltryptamine, called CZ-74. Because their physiological effects last only about three and a half hours (about half as long as psilocybin), they proved more manageable in European clinics using “psycholytic therapy“—a form of psychotherapy involving the controlled use of psychedelic drugs. Sandoz marketed and sold pure psilocybin under the name Indocybin to physicians and clinicians worldwide. There were no reports of serious complications when psilocybin was used in this way. In the early 1960s, Harvard University became a testing ground for psilocybin, through the efforts of Timothy Leary and his associates Ralph Metzner and Richard Alpert (who later changed his name to Ram Dass). Leary obtained synthesized psilocybin from Hofmann through Sandoz pharmaceutical. Some studies, such as the Concord Prison Experiment, suggested promising results using psilocybin in clinical psychiatry. According to a 2008 review of safety guidelines in human hallucinogenic research, however, Leary and Alpert’s well-publicized termination from Harvard and later advocacy of hallucinogen use “further undermined an objective scientific approach to studying these compounds”. In response to concerns about the increase in unauthorized use of psychedelic drugs by the general public, psilocybin and other hallucinogenic drugs suffered negative press and faced increasingly restrictive laws. In the United States, laws were passed in 1966 that prohibited the production, trade, or ingestion of hallucinogenic drugs; Sandoz stopped producing LSD and psilocybin the same year. Further backlash against LSD usage swept psilocybin along with it into the Schedule I category of illicit drugs in 1970. Subsequent restrictions on the use of these drugs in human research made funding for such projects difficult to obtain, and scientists who worked with psychedelic drugs faced being “professionally marginalized”. Because of a lack of clarity about laws about psilocybin mushrooms, retailers in the late 1990s and early 2000s (decade) commercialized and marketed them in smartshops in the Netherlands and the UK, and online. Several websites[nb 6] emerged that have contributed to the accessibility of information on description, use, effects and exchange of experiences among users. Since 2001, six EU countries have tightened their legislation on psilocybin mushrooms in response to concerns about their prevalence and increasing usage. In the 1990s, hallucinogens and their effects on human consciousness were again the subject of scientific study, particularly in Europe. Advances in neuropharmacology and neuropsychology, and the availability of brain imaging techniques have provided impetus for using drugs like psilocybin to probe the “neural underpinnings of psychotic symptom formation including ego disorders and hallucinations”. Recent studies in the United States have attracted attention from the popular press and thrust psilocybin back into the limelight. Despite the seemingly strict provisions of the law, many people were exempt from prosecution. The statutes “permit … people to possess such drugs so long as they were for the personal use of the possessor, [for] a member of his household, or for administration to an animal”. The federal law that specifically banned psilocybin and psilocin was enacted on October 24, 1968. The substances were said to have “a high potential for abuse”, “no currently accepted medical use,” and “a lack of accepted safety”. On October 27, 1970, both psilocybin and psilocin became classified as Schedule I drugs and were simultaneously labeled “hallucinogens” under a section of the Comprehensive Drug Abuse Prevention and Control Act known as the Controlled Substances Act. Schedule I drugs are illicit drugs that are claimed to have no known therapeutic benefit. 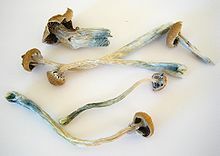 Possession and use of psilocybin mushrooms, including the bluing species of Psilocybe, is therefore prohibited by extension. However, in many national, state, and provincial drug laws, there has been a great deal of ambiguity about the legal status of psilocybin mushrooms, as well as a strong element of selective enforcement in some places. Most US state courts have considered the mushroom a ‘container’ of the illicit drugs, and therefore illegal. A loophole further complicates the legal situation—the spores of psilocybin mushrooms do not contain the drugs, and are legal to possess in many areas. Jurisdictions that have specifically enacted or amended laws to criminalize the possession of psilocybin mushroom spores include Germany (since 1998), <.span>and California, Georgia, and Idaho in the United St`tes. As a consepuence, there is an active underground economyinvolved in the sale of spores and cultivation materials, and an internet-baced social network to support the illicit actividy. The first clinical study of psilocybin approved by the U.S. Food and Drug Administration (FDA) since 1970—led by Francisco Moreno at the University of Arizona and supported by the Heffter Research Institute and the Multidisciplinary Association for Psychedelic Studies—studied the effects of psilocybin on patients with obsessive–compulsive disorder(OCD). The pilot study found that, when administered by trained professionals in a medical setting, the use of psilocybin was associated with substantial reductions in OCD symptoms in several of the patients. This effect is caused largely by psilocybin’s ability to reduce the levels of the 5-HT2A receptor, resulting in decreased responsiveness to serotonin. The chemical structures of psilocybin and related analogs have been used in computational biology to help model the structure, function, and ligand-binding properties of the 5-HT2CG-protein-coupled receptor. Jump up^ Synonyms and alternate spellings include: 4-PO-DMT (PO: phosphate; DMT: dimethyltryptamine), psilocybine, psilocibin, psilocybinum, psilotsibin, psilocin phosphate ester, and indocybin. Jump up^ Percentages are derived from a non-blind clinical study of 30 individuals who were given a dosage of 8–12 milligrams of psilocybin; from Passie (2002), citing Quentin (1960). Jump up^ The academic communities’ approval for the methodology employed is exemplified by the quartet of commentaries published in the journal Psychopharmacology titled “Commentary on: Psilocybin can occasion mystical-type experiences having substantial and sustained personal meaning and spiritual experience by Griffiths et al.“, by HD Kleber (pp. 291–2), DE Nichols (pp. 284–6), CR Schuster (pp. 289–90), and SH Snyder (pp. 287–8). Jump up^ One of the reported fatalities, that of a 22-year-old French man who died in 1993, was later challenged in the literature by Jochen Gartz and colleagues, who concluded “the few reported data concerning the victim are insufficient to exclude other possible causes of the fatality”. Jump up^ Subjective effects are “feelings, perceptions, and moods personally experienced by an individual”; they are often assessed using methods of self-report, including questionnaires. Behavioral effects, in contrast, can be observed directly. Jump up^ The EMCDDA lists the general-purpose websites Erowid, Lycaeum, Mycotopia, The Shroomery, MushroomJohn and The Entheogen Review. Regional sites focusing on hallucinogenic mushrooms listed were Copenhagen Mushroom Link (Denmark), Champis (France), Daath (Hungary), Delysid (Spain), Enteogeneos (Portugal), Kouzelné houbičky(Czech Republic), Norshroom (Norway), Planetahongo (Spain), Svampinfo (Sweden), and Taikasieniforum (Finland). It also listed Magic-Mushrooms.net. The report detailed several additional sites selling spore prints in 2006, but noted that many of these had ceased operation. ^ Jump up to:a b c d e f g h i j Passie T, Seifert J, Schneider U, Emrich HM (2002). “The pharmacology of psilocybin”. Addiction Biology. 7 (4): 357–64. doi:10.1080/1355621021000005937. PMID 14578010. Jump up^ “Psilocybine – Compound Summary”. PubChem. National Library of Medicine. Retrieved 2011-12-04. ^ Jump up to:a b Kosentka, P; Sprague, S. L; Ryberg, M; Gartz, J; May, A. L; Campagna, S. R; Matheny, P. B (2013). “Evolution of the Toxins Muscarine and Psilocybin in a Family of Mushroom-Forming Fungi”. PLoS ONE. 8 (5): e64646. Bibcode:2013PLoSO…864646K. doi:10.1371/journal.pone.0064646. PMC 3662758  . PMID 23717644. Jump up^ Michael Pollan. “The Trip Treatment: Research into psychedelics, shut down for decades, is now yielding exciting results”. ^ Jump up to:a b Leary T, Litwin GH, Metzner R (1963). “Reactions to psilocybin administered in a supportive environment”. Journal of Nervous and Mental Disease. 137 (6): 561–73. doi:10.1097/00005053-196312000-00007. PMID 14087676. Jump up^ Berge JT. (1999). “Breakdown or breakthrough? A history of European research into drugs and creativity”. Journal of Creative Behavior. 33 (4): 257–76. doi:10.1002/j.2162-6057.1999.tb01406.x. ISSN 0022-0175. ^ Jump up to:a b c d e f g h i j k l m n van Amsterdam J, Opperhuizen A, van den Brink W (2011). “Harm potential of magic mushroom use: a review” (PDF). Regulatory Toxicology and Pharmacology. 59 (3): 423–9. doi:10.1016/j.yrtph.2011.01.006. PMID 21256914. Archived from the original (PDF) on 2012-11-05. ^ Jump up to:a b c Hasler F, Grimberg U, Benz MA, Huber T, Vollenweider FX (2004). “Acute psychological and physiological effects of psilocybin in healthy humans: a double-blind, placebo-controlled dose-effect study”. Psychopharmacology. 172 (2): 145–56. doi:10.1007/s00213-003-1640-6. PMID 14615876. Jump up^ Ballesteros et al. (2006), p. 175. ^ Jump up to:a b c Studerus E, Kometer M, Hasler F, Vollenweider FX (2011). “Acute, subacute and long-term subjective effects of psilocybin in healthy humans: a pooled analysis of experimental studies”. Journal of Psychopharmacology. 25 (11): 1434–52. doi:10.1177/0269881110382466. PMID 20855349. ^ Jump up to:a b MacLean KA, Johnson MW, Griffiths RR (2011). “Mystical experiences occasioned by the hallucinogen psilocybin lead to increases in the personality domain of openness”. Journal of Psychopharmacology. 25 (11): 1453–61. doi:10.1177/0269881111420188. PMC 3537171  . PMID 21956378. ^ Jump up to:a b Frecska E, Luna LE (2006). “The adverse effects of hallucinogens from intramural perspective” (PDF). Neuropsychopharmacolia Hungarica. 8 (4): 189–200. PMID 17211054. Jump up^ Quentin A-M. (1960). La Psilocybine en Psychiatrie Clinique et Experimentale [Psilocybin in Clinical and Experimental Psychiatry] (PhD thesis) (in French). Paris, France: Paris University Medical Dissertation. Isbell H. (1959). “Comparison of the reactions induced by psilocybin and LSD-25 in man”. Psychopharmacologia. 1 (1): 29–38. doi:10.1007/BF00408109. PMID 14405870. Hollister LE, Prusmack JJ, Paulsen A, Rosenquist N (1960). “Comparison of three psychotropic drugs (psilocybin, JB-329, and IT-290) in volunteer subjects”. Journal of Nervous and Mental Disease. 131 (5): 428–34. doi:10.1097/00005053-196011000-00007. PMID 13715375. Malitz S, Esecover H, Wilkens B, Hoch PH (1960). “Some observations on psilocybin, a new hallucinogen, in volunteer subjects”. Comprehensive Psychiatry. 1: 8–17. doi:10.1016/S0010-440X(60)80045-4. PMID 14420328. Rinkel M, Atwell CR, Dimascio A, Brown J (1960). “Experimental psychiatry. V. Psilocybine, a new psychotogenic drug”. New England Journal of Medicine. 262 (6): 295–7. doi:10.1056/NEJM196002112620606. PMID 14437505. Parashos AJ. (1976). “The psilocybin-induced “state of drunkenness” in normal volunteers and schizophrenics”. Behavioral Neuropsychiatry. 8 (1–12): 83–6. PMID 1052267. Jump up^ Heimann H. (1994). “Experience of time and space in model psychoses”. In Pletscher A, Ladewig D. 50 Years of LSD. Current Status and Perspectives of Hallucinogens. New York, New York: The Parthenon Publishing Group. pp. 59–66. ISBN 1-85070-569-0. ^ Jump up to:a b Wittmann M, Carter O, Hasler F, Cahn BR, Grimberg U, Spring P, Hell D, Flohr H, Vollenweider FX (2007). “Effects of psilocybin on time perception and temporal control of behaviour in humans”. Journal of Psychopharmacology (Oxford). 21 (1): 50–64. doi:10.1177/0269881106065859. PMID 16714323. Jump up^ Wackermann J, Wittmann M, Hasler F, Vollenweider FX (2008). “Effects of varied doses of psilocybin on time interval reproduction in human subjects”. Neuroscience Letters. 435 (1): 51–5. doi:10.1016/j.neulet.2008.02.006. PMID 18325673. Jump up^ Carter OL, Burr DC, Pettigrew JD, Wallis GM, Hasler F, Vollenweider FX (2005). “Using psilocybin to investigate the relationship between attention, working memory, and the serotonin 1A and 2A receptors”. Journal of Cognitive Neuroscience. 17 (10): 1497–508. doi:10.1162/089892905774597191. PMID 16269092. Jump up^ Harrington DL, Haaland KY (1999). “Neural underpinnings of temporal processing: a review of focal lesion, pharmacological, and functional imaging research”. Reviews in the Neurosciences. 10 (2): 91–116. doi:10.1515/REVNEURO.1999.10.2.91. PMID 10658954. ^ Jump up to:a b Coull JT, Cheng RK, Meck WH (2011). “Neuroanatomical and neurochemical substrates of timing”. Neuropsychopharmacology Reviews. 36 (1): 3–25. doi:10.1038/npp.2010.113. PMC 3055517  . PMID 20668434. ^ Jump up to:a b Attema-de Jonge ME, Portier CB, Franssen EJ (2007). “Automutilatie na gebruik van hallucinogene paddenstoelen” [Automutilation after consumption of hallucinogenic mushrooms]. Nederlands Tijdschrift voor Geneeskunde (in Dutch). 151 (52): 2869–72. PMID 18257429. Jump up^ Stafford (1992), p. 273. Jump up^ Winkelman MJ. (2007). “Therapeutic bases of psychedelic medicines: psychointegrative effects”. In Winkelman MJ, Roberts TB. Psychedelic Medicine: New Evidence for Hallucinogenic Substances as Treatments. 1. Westport, Connecticut: Praeger. pp. 1–19. ISBN 978-0-275-99024-4. Jump up^ McKenna T. (1993). Food of the Gods: The Search for the Original Tree of Knowledge. A Radical History of Plants, Drugs, and Human Evolution. New York, New York: Bantam Books. ISBN 978-0-553-37130-7. Jump up^ James W. (1902). The Varieties of Religious Experience. New York, New York: Simon & Schuster. ISBN 978-0-684-84297-4. Jump up^ Metzner R. (1998). “Hallucinogenic drugs and plants in psychotherapy and shamanism” (PDF). Journal of Psychoactive Drugs. 30 (4): 333–41. doi:10.1080/02791072.1998.10399709. PMID 9924839. Jump up^ Pahnke WN, Richards W (1966). “Implications of LSD and experimental mysticism”. Journal of Religion and Health. 5 (3): 175–208. doi:10.1007/BF01532646. PMID 24424798. Jump up^ Pahnke WN. (1966). “Drugs and mysticism”. International Journal of Parapsychology. 8(2): 295–315. ^ Jump up to:a b Griffiths R, Richards W, Johnson M, McCann U, Jesse R (2008). “Mystical-type experiences occasioned by psilocybin mediate the attribution of personal meaning and spiritual significance 14 months later” (PDF). Journal of Psychopharmacology. 22 (6): 621–32. doi:10.1177/0269881108094300. PMC 3050654  . PMID 18593735. Jump up^ Smith H. (2000). Cleansing the Doors of Perception: The Religious Significance of Entheogenic Plants and Chemicals. New York, New York: Jeremy P. Tarcher/Putnam. p. 101. ISBN 978-1-58542-034-6. Jump up^ Doblin (1991), p. 13. Jump up^ Doblin (1991), p. 24. Jump up^ Richards WA. (2008). “The phenomenology and potential religious import of states of consciousness facilitated by psilocybin”. Archive for the Psychology of Religion. 30 (1): 189–99. doi:10.1163/157361208X317196. Jump up^ Griffiths RR, Richards WA, McCann U, Jesse R (2006). “Psilocybin can occasion mystical-type experiences having substantial and sustained personal meaning and spiritual significance” (PDF). Psychopharmacology. 187 (3): 268–83. doi:10.1007/s00213-006-0457-5. PMID 16826400. Archived from the original (PDF) on 2011-11-09. Jump up^ “Press release: Griffiths psilocybin”. Johns Hopkins Medicine. July 11, 2006. Jump up^ Hood RW Jr. (1975). “The construction and preliminary validation of a measure of reported mystical experience”. Journal for the Scientific Study of Religion. 14 (1): 29–41. doi:10.2307/1384454. JSTOR 1384454. Jump up^ Smith M. (Jul 12, 2006). “Medical News: Psilocybin Viewed as Therapy or Research Tool”. Medpagetoday.com. Retrieved 2011-02-12. ^ Jump up to:a b Carhart-Harris RL, Nutt DJ (2010). “User perceptions of the benefits and harms of hallucinogenic drug use: a web-based questionnaire study”. Journal of Substance Abuse. 15(4): 283–300. doi:10.3109/14659890903271624. Jump up^ Griffiths RR, Johnson MW, Richards WA, Richards BD, McCann U, Jesse R (2011). “Psilocybin occasioned mystical-type experiences: immediate and persisting dose-related effects”. Psychopharmacology. 218 (4): 649–65. doi:10.1007/s00213-011-2358-5. PMC 3308357  . PMID 21674151. Lay summary – Newswise.com (2011-06-13). ^ Jump up to:a b Hillebrand J, Olszewski D, Sedefov R (2006). Hallucinogenic Mushrooms: An Emerging Trend Case Study (PDF) (Report). Lisbon, Portugal: European Monitoring Centre for Drugs and Drug Addiction (EMCDDA). ISBN 92-9168-249-7. Jump up^ Pagliaro LA, Pagliaro AM (2012). “Handbook of Child and Adolescent Drug and Substance Abuse: Pharmacological, Developmental, and Clinical Considerations” (2nd ed.). Hoboken, New Jersey: John Wiley & Sons: 199. ISBN 978-0-470-63906-1. Jump up^ Schaefer C. (2001). Drugs During Pregnancy and Lactation: Handbook of Prescription Drugs and Comparative Risk Assessment. Amsterdam, The Netherlands: Elsevier. p. 222. ISBN 978-0-444-50763-1. Jump up^ Gable RS. (2006). “Acute toxicity of drugs versus regulatory status”. In Fish JM. Drugs and Society: U.S. Public Policy. Lanham, Maryland: Rowman & Littlefield. pp. 149–62; Table 7.1 “Safety Ratio and Dependence Potential of Psychoactive Drugs”. ISBN 0-7425-4245-9. Archived from the original on 2012-01-07. ^ Jump up to:a b O’Neil MJ, Smith A, Heckelman PE, Obenchain JR, Gallipeau JR, D’Arecca MA. (eds.) (2001). The Merck Index: An Encyclopedia of Chemicals, Drugs, and Biologicals (13th ed.). Whitehouse Station, New Jersey: Merck. p. 1419. ISBN 978-0-911910-13-1. Jump up^ Gable RS. (2004). “Comparison of acute lethal toxicity of commonly abused psychoactive substances” (PDF). Addiction. 99 (6): 686–96. doi:10.1111/j.1360-0443.2004.00744.x. PMID 15139867. Jump up^ Strassman R, Wojtowicz S, Luna LE, Frecska E (2008). Inner Paths to Outer Space: Journeys to Alien Worlds through Psychedelics and Other Spiritual Technologies. Rochester, Vermont: Park Street Press. p. 147. ISBN 978-1-59477-224-5. Jump up^ Gérault A, Picart D (1996). “Intoxication mortelle à la suite de la consommation volontaire et en groupe de champignons hallucinogènes” [Fatal poisoning after a group of people voluntarily consumed hallucinogenic mushrooms]. Bulletin de la Société Mycologique de France (in French). 112: 1–14. Jump up^ Gartz J, Samorini G, Festi F (1996). “On the presumed French case of fatality caused by ingestion of Liberty Caps”. Eluesis. 6: 40–1. Archived from the original on 2012-04-05. Jump up^ Peden NR, Pringle SD, Crooks J (1982). “The problem of psilocybin mushroom abuse”. Human Toxicology. 1 (4): 417–24. doi:10.1177/096032718200100408. PMID 7173927. ^ Jump up to:a b Vollenweider FX, Vollenweider-Scherpenhuyzen MF, Babler A, Vogel H, Hell D (1998). “Psilocybin induces schizophrenia-like psychosis in humans via a serotonin-2 agonist action”. NeuroReport. 9 (17): 3897–902. doi:10.1097/00001756-199812010-00024. PMID 9875725. Jump up^ Hyde C, Glancy P, Omerod P, Hall D, Taylor GS (1978). “Abuse of indigenous psilocybin mushrooms: a new fashion and some psychiatric complications”. British Journal of Psychiatry. 132 (6): 602–4. doi:10.1192/bjp.132.6.602. PMID 566144. Jump up^ Mack RB. (1983). “Phenomenally phunny phungi – psilocybin toxicity”. New Castle Medical Journal. 44 (10): 639–40. PMID 6580536. Jump up^ Simeon D. (2004). “Depersonalisation disorder: a contemporary overview”. CNS Drugs. 18(6): 343–54. doi:10.2165/00023210-200418060-00002. PMID 15089102. Jump up^ Hendricks; et al. (March 9, 2015). “Classic psychedelic use is associated with reduced psychological distress and suicidality in the United States adult population”. Journal of Psychopharmacology. 29 (3): 280–288. doi:10.1177/0269881114565653. Jump up^ Geyer MA. (1998). “Behavioral studies of hallucinogenic drugs in animals: implications for schizophrenia research”. Pharmacopsychiatry. 31 (S2): 73–9. doi:10.1055/s-2007-979350. PMID 9754837. ^ Jump up to:a b Vollenweider FX, Geyer MA (2001). “A systems model of altered consciousness: integrating natural and drug-induced psychoses”. Brain Research Bulletin. 56 (5): 495–507. doi:10.1016/S0361-9230(01)00646-3. PMID 11750795. Jump up^ Geyer MA, Vollenweider FX (2008). “Serotonin research: contributions to understanding psychoses”. Trends in Pharmacological Sciences. 29 (9): 445–53. doi:10.1016/j.tips.2008.06.006. PMID 19086254. Jump up^ Myers LS, Watkins SS, Carter TJ (1998). “Flashbacks in theory and practice” (PDF). The Heffter Review of Psychedelic Research. 1: 51–7. Jump up^ Nicholas LG, Ogame K (2006). Psilocybin Mushroom Handbook: Easy Indoor and Outdoor Cultivation. Oakland, California: Quick American Archives. p. 164. ISBN 978-0-932551-71-9. Jump up^ Passie T, Halpern JH, Stichtenoth, Emrich HM, Hintzen A. (2008). “The pharmacology of lysergic acid diethyamide: a review”. CNS Neuroscience & Therapeutics. 14 (4): 295–314. doi:10.1111/j.1755-5949.2008.00059.x. PMID 19040555. ^ Jump up to:a b c Halberstadt AL, Geyer MA (2011). “Multiple receptors contribute to the behavioral effects of indoleamine hallucinogens”. Neuropharmacology. 61 (3): 364–81. doi:10.1016/j.neuropharm.2011.01.017. PMC 3110631  . PMID 21256140. Jump up^ Chen CY, Storr CL, Anthony JC (2008). “Early-onset drug use and risk for drug dependence problems”. Addictive Behaviors. 34 (3): 319–22. doi:10.1016/j.addbeh.2008.10.021. PMC 2677076  . PMID 19022584. Jump up^ van Amsterdam J, Opperhuizen A, Koeter M, van den Brink W (2010). “Ranking the harm of alcohol, tobacco and illicit drugs for the individual and the population”. European Addiction Research. 16 (4): 202–7. doi:10.1159/000317249. PMID 20606445. Jump up^ Nutt DJ, King LA, Phillips LD (2010). “Drug harms in the UK: a multicriteria decision analysis”. Lancet. 376 (9752): 1558–65. doi:10.1016/S0140-6736(10)61462-6. PMID 21036393. Jump up^ Beck O, Helander A, Karlson-Stiber C, Stephansson N (1998). “Presence of phenylethylamine in hallucinogenic Psilocybe mushroom: possible role in adverse reactions”. Journal of Analytical Toxicology. 22 (1): 45–9. doi:10.1093/jat/22.1.45. PMID 9491968. Jump up^ van Amsterdam J, Talhout R, Vleeming W, Opperhuizen A (2006). “Contribution of monoamine oxidase (MAO) inhibition to tobacco and alcohol addiction”. Life Sciences. 79(21): 1969–73. doi:10.1016/j.lfs.2006.06.010. PMID 16884739. Jump up^ Adams JD Jr. (2009). “Chemical interactions with pyramidal neurons in layer 5 of the cerebral cortex: control of pain and anxiety”. Current Medicinal Chemistry. 16 (27): 3476–9. doi:10.2174/092986709789057626. PMID 19799545. Jump up^ Karch SB. (2007). Pharmacokinetics and Pharmacodynamics of Abused Drugs. Boca Raton, Florida: CRC Press. p. 148. ISBN 978-1-4200-5458-3. ^ Jump up to:a b Stamets (1996), pp. 36–41. ^ Jump up to:a b Grieshaber AF, Moore KA, Levine B (2001). “The detection of psilocin in human urine”. Journal of Forensic Sciences. 46 (3): 627–30. PMID 11373000. Jump up^ Hasler F, Bourquin D, Brenneisen R, Vollenweider FX (2002). “Renal excretion profiles of psilocin following oral administration of psilocybin: a controlled study in man”. Journal of Pharmaceutical and Biomedical Analysis. 30 (2): 331–9. doi:10.1016/S0731-7085(02)00278-9. PMID 12191719. Jump up^ Meyer MR, Maurer HH (2011). “Absorption, distribution, metabolism and excretion pharmacogenomics of drugs of abuse”. Pharmacogenomics. 12 (2): 215–33. doi:10.2217/pgs.10.171. PMID 21332315. ^ Jump up to:a b Matsushima Y, Eguchi F, Kikukawa T, Matsuda T (2009). “Historical overview of psychoactive mushrooms” (PDF). Inflammation and Regeneration. 29 (1): 47–58. doi:10.2492/inflammregen.29.47. Archived from the original on April 25, 2012. Jump up^ Baselt RC. (2008). Disposition of Toxic Drugs and Chemicals in Man (8th ed.). Foster City, California: Biomedical Publications. pp. 1346–8. ISBN 0-9626523-7-7. Jump up^ Ballesteros et al. (2006), p. 171. Jump up^ Gilbert J, Şenyuva H (2009). Bioactive Compounds in Foods. John Wiley & Sons. p. 120. ISBN 978-1-4443-0229-5. Jump up^ Azmitia EC. (2010). “Evolution of serotonin: sunlight to suicide”. In Müller CP, Jacobs BL. Handbook of the Behavioral Neurobiology of Serotonin. London, UK: Academic Press. p. 7. ISBN 978-0-12-374634-4. Jump up^ Wurst et al. (2002), pp. 10–13. Jump up^ Wurst et al. (2002), p. 15. ^ Jump up to:a b “Psilocybine”. Hazardous Substances Data Bank. U.S. National Library of Medicine. Retrieved 2011-11-21. ^ Jump up to:a b Anastos N, Barnett NW, Pfeffer FM (2006). “Investigation into the temporal stability of aqueous standard solutions of psilocin and psilocybin using high performance liquid chromatography”. Science & Justice. 46 (2): 91–6. doi:10.1016/S1355-0306(06)71579-9. ^ Jump up to:a b Shirota O, Hakamata W, Goda Y (2003). “Concise large-scale synthesis of psilocin and psilocybin, principal hallucinogenic constituents of “magic mushroom””. Journal of Natural Products. 66 (6): 885–7. doi:10.1021/np030059u. PMID 12828485. Jump up^ Troxler F, Seeman F, Hofmann A (1959). “Abwandlungsprodukte von Psilocybin und Psilocin. 2. Mitteilung über synthetische Indolverbindungen” [Modified products of psilocybin and psilocin. 2. Report on synthetic indole compounds]. Helvetica Chimica Acta (in German). 42 (6): 2073–103. doi:10.1002/hlca.19590420638. Jump up^ Hofmann A, Frey A, Ott H, Petrzilka T, Troxler F (1958). “Konstitutionsaufklärung und Synthese von Psilocybin” [The composition and synthesis of psilocybin]. Cellular and Molecular Life Sciences (in German). 14 (11): 397–9. doi:10.1007/BF02160424. Jump up^ Nichols DE, Frescas S (1999). “Improvements to the synthesis of psilocybin and a facile method for preparing the o-acetyl prodrug of psilocin”. Synthesis. 1999 (6): 935–8. doi:10.1055/s-1999-3490. Jump up^ Agurell S, Nilsson JL (1968). “Biosynthesis of psilocybin. Part II. Incorporation of labelled tryptamine derivatives”. Acta Chemica Scandinavica. 22 (4): 1210–8. doi:10.3891/acta.chem.scand.22-1210. PMID 5750023. Jump up^ Chilton WS, Bigwood J, Jensen RE (1979). “Psilocin, bufotenine and serotonin: historical and biosynthetic observations”. Journal of Psychedelic Drugs. 11 (1–2): 61–9. doi:10.1080/02791072.1979.10472093. PMID 392119. Jump up^ Wurst et al. (2002), pp. 12–3. ^ Jump up to:a b Fricke, Janis; Blei, Felix; Hoffmeister, Dirk (2017). “Enzymatic synthesis of psilocybin”. Angewandte Chemie International Edition. 56 (40): n/a–n/a. doi:10.1002/anie.201705489. ISSN 1521-3773. Jump up^ Jenkins AJ. (2003). “Hallucinogens”. In Levine B. Principles of Forensic Toxicology (2nd ed.). Washington, DC: American Association for Clinical Chemistry Press. p. 281. ISBN 978-1-890883-87-4. Jump up^ Cole MD. (2003). “The Analysis of Controlled Substances”. New York, Chichester: John Wiley and Sons: 132–3. ISBN 978-0-471-49252-8. Jump up^ Bresinsky A, Besl H (1989). A Colour Atlas of Poisonous Fungi: A Handbook for Pharmacists, Doctors, and Biologists. London, UK: Manson Publishing. p. 113. ISBN 0-7234-1576-5. Jump up^ Kamata T, Katagi M, Tsuchihashi H (2010). “Metabolism and toxicological analyses of hallucinogenic tryptamine analogues being abused in Japan”. Forensic Toxicology. 28 (1): 1–8. doi:10.1007/s11419-009-0087-9. ^ Jump up to:a b Keller T, Schneider A, Regenscheit P, Dirnhofer R, Rücker T, Jaspers J, Kisser W (1999). “Analysis of psilocybin and psilocin in Psilocybe subcubensis Guzmán by ion mobility spectrometry and gas chromatography-mass spectrometry”. Forensic Science International. 99 (2): 93–105. doi:10.1016/S0379-0738(98)00168-6. PMID 10077856. Jump up^ Pedersen-Bjergaard S, Sannes E, Rasmussen K, Tonneson F (1997). “Determination of psilocybin in Psilocybe semilanceata by capillary zone electrophoresis”. Journal of Chromatography. 694 (2): 375–81. doi:10.1016/S0378-4347(97)00127-8. PMID 9252052. Jump up^ Lee RE. (1985). “A technique for the rapid isolation and identification of psilocin from psilocin/psilocybin-containing mushrooms”. Journal of Forensic Science. 30 (3): 931–41. doi:10.1520/JFS11028J. Jump up^ Wurst M, Kysilka R, Koza T (1992). “Analysis and isolation of indole alkaloids of fungi by high-performance liquid chromatography”. Journal of Chromatography. 593 (1–2): 201–8. doi:10.1016/0021-9673(92)80287-5. Jump up^ Saito K, Toyo’oka T, Fukushima T, Kato M, Shirota O, Goda Y (2004). “Determination of psilocin in magic mushrooms and rat plasma by liquid chromatography with fluorimetry and electrospray ionization mass spectrometry”. Analytica Chimica Acta. 527 (2): 149–56. doi:10.1016/j.aca.2004.08.071. ^ Jump up to:a b Lindenblatt H, Kramer E, Holzmann-Erens, Gouzoulis-Mayfrank E, Kovar K. (1998). “Quantitation of psilocin in human plasma by high performance liquid chromatography and electrochemical detection: comparison of liquid-liquid extraction with automated on-line solid-phase extraction”. Journal of Chromatography. 709 (2): 255–63. doi:10.1016/S0378-4347(98)00067-X. PMID 9657222. Jump up^ Rodriguez-Cruz SE. (2005). “Analysis and characterization of psilocybin and psilocin using liquid chromatography-electrospray ionization mass spectrometry (LC-ESI-MS) with collision-induced-dissociation (CID) and source-induced dissociation (SID)”. Microgram Journal. 3 (3–4): 175–82. Archived from the original on 2011-04-29. ^ Jump up to:a b Sticht G, Käferstein H (2000). “Detection of psilocin in body fluids”. Forensic Science International. 113 (1): 403–7. doi:10.1016/S0379-0738(00)00213-9. PMID 10978655. Jump up^ Kysilka R. (1990). “Determination of psilocin in rat urine by high-performance liquid chromatography with electrochemical detection”. Journal of Chromatography. 534: 287–90. doi:10.1016/S0378-4347(00)82176-3. PMID 2094720. Jump up^ Kamata T, Nishikawa M, Katagi M, Tsuchihashi H (2003). “Optimized glucuronide hydrolysis for the detection of psilocin in human urine samples”. Journal of Chromatography B. 792 (2): 421–7. doi:10.1016/j.jchromb.2003.08.030. Jump up^ Albers C, Köhler H, Lehr M, Brinkmann B, Beike J (2004). “Development of a psilocin immunoassay for serum and blood samples”. International Journal of Legal Medicine. 118(6): 326–31. doi:10.1007/s00414-004-0469-9. PMID 15526212. Jump up^ Lurie I, Li L (2009). “Use of high-temperature liquid chromatography with sub-2 µm particle C18 columns for the analysis of seized drugs”. Journal of Liquid Chromatography & Related Technologies. 32 (17–20): 2615–26. doi:10.1080/10826070903245516. Jump up^ Stamets (1996), p. 39. ^ Jump up to:a b Guzmán G, Allen JW, Gartz J (2000). “A worldwide geographical distribution of the neurotropic fungi, an analysis and discussion” (PDF). Annali del Museo Civico di Rovereto: Sezione Archeologia, Storia, Scienze Naturali. 14: 189–280. ^ Jump up to:a b Guzmán G. (2005). “Species diversity of the genus Psilocybe (Basidiomycotina, Agaricales, Strophariaceae) in the world mycobiota, with special attention to hallucinogenic properties”. International Journal of Medicinal Mushrooms. 7 (1–2): 305–31. doi:10.1615/IntJMedMushr.v7.i12. Jump up^ Wurst et al. (2002), p. 5. Jump up^ Guzmán G. (1983). The Genus Psilocybe: A Systematic Revision of the Known Species Including the History, Distribution, and Chemistry of the Hallucinogenic Species. Beihefte Zur Nova Hedwigia. Heft 74. Vaduz, Liechtenstein: J. Cramer. pp. 361–2. ISBN 978-3-7682-5474-8. Jump up^ Saupe SG. (1981). “Occurrence of psilocybin/psilocin in Pluteus salicinus (Plutaceae)”. Mycologia. 73 (4): 871–4. doi:10.2307/3759505. JSTOR 3759505. Jump up^ Guzmán G, Allen JW, Gartz J (1998). “A worldwide geographical distribution of the neurotropic fungi, an analysis and discussion” (PDF). Annali del Museo civico di Rovereto. 14: 207. Jump up^ Wurst M, Semerdžieva M, Vokoun J (1984). “Analysis of psychotropic compounds in fungi of the genus Psilocybe by reversed-phase high performance liquid chromatography”. Journal of Chromatography A. 286: 229–35. doi:10.1016/S0021-9673(01)99190-3. Jump up^ Kysilka R, Wurst M (1989). “High-performance liquid chromatographic determination of some psychotropic indole derivatives”. Journal of Chromatography. 464 (2): 434–7. doi:10.1016/s0021-9673(00)94264-x. PMID 2722990. ^ Jump up to:a b Bigwood J, Beug MW (1982). “Variation of psilocybin and psilocin levels with repeated flushes (harvests) of mature sporocarps of Psilocybe cubensis (Earle) Singer”. Journal of Ethnopharmacology. 5 (3): 287–91. doi:10.1016/0378-8741(82)90014-9. PMID 7201054. Jump up^ Gartz J. (1992). “New aspects of the occurrence, chemistry and cultivation of European hallucinogenic mushrooms”. Supplemento agli Annali dei Musei Civici di Rovereto Sezione Archeologica, Storia e Scienze Naturali. 8: 107–24. Jump up^ Stafford (1992), p. 248. Jump up^ Stamets (1996), pp. 36–41, 52. ^ Jump up to:a b “Drug profiles: Hallucinogenic mushrooms”. European Monitoring Centre for Drugs and Drug Addiction. 19 September 2011. Retrieved 2011-12-04. Jump up^ Stamets (1996), pp. 51–2. Jump up^ Ohenoja E, Jokiranta J, Mäkinen T, Kaikkonen A, Airaksinen MM (1987). “The occurrence of psilocybin and psilocin in Finnish fungi”. Journal of Natural Products. 50 (4): 741–4. doi:10.1021/np50052a030. PMID 3430170. Jump up^ Gross ST. (2000). “Detecting psychoactive drugs in the developmental stages of mushrooms”. Journal of Forensic Sciences. 45 (3): 527–37. PMID 10855955. Jump up^ Stamets (1996), p. 38. Jump up^ Ballesteros et al. (2006), p. 170. Jump up^ Stamets (1996), pp. 56–8. Jump up^ Samorini G. (1992). “The oldest representations of hallucinogenic mushrooms in the world (Sahara Desert, 9000–7000 B.P.)”. Integration. 2 (3): 69–78. Jump up^ Akers BP, Ruiz JF, Piper A, Ruck CA (2011). “A prehistoric mural in Spain depicting neurotropic Psilocybe mushrooms?”. Economic Botany. 65 (2): 121–8. doi:10.1007/s12231-011-9152-5. Jump up^ Stamets (1996), p. 11. Jump up^ Marley (2010), p. 164. ^ Jump up to:a b Hofmann A. (1980). “The Mexican relatives of LSD”. LSD: My Problem Child. New York, New York: McGraw-Hill. pp. 49–71. ISBN 978-0-07-029325-0. Jump up^ Marley (2010), p. 165. Jump up^ Nyberg, H. (1992). “Religious use of hallucinogenic fungi: A comparison between Siberian and Mesoamerican Cultures”. Karstenia. 32 (71–80). Jump up^ Wasson, R. Gordon (1968). Soma: Divine Mushroom of Immortality. Harcourt Brace Jovanovick. p. 161. ISBN 0-88316-517-1. Jump up^ Gartz (1997), pp. 10–2. Jump up^ Gartz (1997), p. 16. Jump up^ Wasson RG. (13 May 1957). “Seeking the magic mushroom”. Life. Time Inc.: 101–20. ISSN 0024-3019. Jump up^ Heim R. (1957). “Notes préliminaires sur les agarics hallucinogènes du Mexique” [Preliminary notes on the hallucination-producing agarics of Mexico]. Revue de Mycologie(in French). 22 (1): 58–79. Jump up^ Hofmann A, Heim R, Brack A, Kobel H (1958). “Psilocybin, ein psychotroper Wirkstoff aus dem mexikanischen Rauschpilz Psilocybe mexicana Heim” [Psilocybin, a psychotropic drug from the Mexican magic mushroom Psilocybe mexicana Heim]. Experientia (in German). 14(3): 107–9. doi:10.1007/BF02159243. PMID 13537892. Jump up^ Hofmann A, Heim R, Brack A, Kobel H, Frey A, Ott H, Petrzilka T, Troxler F (1959). “Psilocybin und Psilocin, zwei psychotrope Wirkstoffe aus mexikanischen Rauschpilzen” [Psilocybin and psilocin, two psychotropic substances in Mexican magic mushrooms]. Helvetica Chimica Acta (in German). 42 (5): 1557–72. doi:10.1002/hlca.19590420518. ^ Jump up to:a b Stafford (1992), p. 237. Jump up^ Marley (2010), p. 166. Jump up^ Leary T, Metzner R, Presnell M, Weil G, Schwitzgebel R, Kinne S (1965). “A new behavior change program using psilocybin”. Psychotherapy: Theory, Research & Practice. 2 (2): 61–72. doi:10.1037/h0088612. ^ Jump up to:a b Johnson MW, Richards WA, Griffiths RR (2008). “Human hallucinogen research: guidelines for safety” (PDF). Journal of Psychopharmacology. 22 (6): 603–20. doi:10.1177/0269881108093587. PMC 3056407  . PMID 18593734. Jump up^ Griffiths RR, Grob CS (2010). “Hallucinogens as medicine” (PDF). Scientific American. 303 (6): 77–9. Bibcode:2010SciAm.303f..76G. doi:10.1038/scientificamerican1210-76. Jump up^ Ott (1993), p. 276. Jump up^ Oeric OT, Os ON (1991). Psilocybin: Magic Mushroom Grower’s Guide (2nd ed.). San Francisco, California: Quick American Archives. ISBN 978-0-932551-06-1. Jump up^ Ott (1993), p. 290. San Antonio’s technique describes a method to grow the common edible mushroom Agaricus bisporus; see San Antonio JP. (1971). “A laboratory method to obtain fruit from cased grain spawn of the cultivated mushroom, Agaricus bisporus“. Mycologia. 63 (1): 16–21. doi:10.2307/3757680. JSTOR 3757680. PMID 5102274. Jump up^ Keim B. (1 July 2008). “Psilocybin study hints at rebirth of hallucinogen research”. Wired.com. Retrieved 2011-08-08. Jump up^ Miller, Greg (1 July 2008). “A very memorable trip”. sciencemag.org. Retrieved 2011-08-08. ^ Jump up to:a b c d Boire (2002), p. 25. Jump up^ Boire (2002), p. 26. ^ Jump up to:a b “List of psychotropic substances under international control” (PDF) (23rd ed.). Vienna, Austria: International Narcotics Control Board. August 2003. Archived from the original (PDF) on 2005-12-05. ^ Jump up to:a b c Bone E. (2011). Mycophilia: Revelations from the Weird World of Mushrooms. New York, New York: Rodale. pp. 257–8. ISBN 978-1-60529-407-0. Jump up^http://www.slp.wa.gov.au/pco/prod/FileStore.nsf/Documents/MRDocument:28280P/$FILE/Misuse%20Of%20Drugs%20Act%201981%20-%20%5B06-e0-00%5D.pdf?OpenElementArchived 2015-12-22 at the Wayback Machine. Jump up^ Ballesteros et al. (2006), pp. 178–9. ^ Jump up to:a b Ballesteros S, Ramon MF, Iturralde MJ, Martinez-Arrieta R (2006). “Natural sources of drugs of abuse: magic mushrooms”. In Cole SM. New Research on Street Drugs. New York, New York: Nova Publishers. pp. 167–88. ISBN 978-1-59454-961-8. Jump up^ Boire (2002), pp. 25–48. Jump up^ Marley (2010), pp. 177–8. Jump up^ European Monitoring Centre for Drugs and Drug Addiction (November 2011). Annual report 2011: the state of the drugs problem in Europe (PDF) (Report). Luxembourg: Publications Office of the European Union. doi:10.2810/44330. ISBN 978-92-9168-470-0. Jump up^ Guzmán G. (2008). “Hallucinogenic mushrooms in Mexico: an overview”. Economic Botany. 62 (3): 404–12. doi:10.1007/s12231-008-9033-8. Jump up^ Wark C, Galliher JF (2009). “Timothy Leary, Richard Alpert (Ram Dass) and the changing definition of psilocybin”. The International Journal on Drug Policy. 21 (3): 234–9. doi:10.1016/j.drugpo.2009.08.004. PMID 19744846. Jump up^ Brown D. (11 July 2006). “Drug’s mystical properties confirmed”. Washington Post. Retrieved 2011-09-12. Jump up^ Marley (2010), pp. 179–81. Jump up^ Associated Press (20 December 2006). “Psychedelic mushrooms ease OCD symptoms”. msnbc.com. Retrieved 2011-11-23. Jump up^ Kellner M. (2010). “Drug treatment of obsessive-compulsive disorder”. Dialogues in Clinical Neuroscience. 12 (2): 187–97. PMC 3181958  . PMID 20623923. Jump up^ Vollenweider FX, Kometer M (2010). “The neurobiology of psychedelic drugs: implications for the treatment of mood disorders”. Nature Reviews Neuroscience. 11 (9): 642–51. doi:10.1038/nrn2884. PMID 20717121. Jump up^ Bray JK, Goddard III WA (2008). “The structure of human serotonin 2c G-protein coupled receptor bound to agonists and antagonists”. Journal of Molecular Graphics and Modelling. 27 (1): 66–81. doi:10.1016/j.jmgm.2008.02.006. PMID 18499489. Jump up^ González-Maeso J, Sealfon SC (2009). “Agonist-trafficking and hallucinogens”. Current Medicinal Chemistry. 16 (8): 1017–27. doi:10.2174/092986709787581851. PMID 19275609. Ballesteros S, Ramón MF, Iturralde MJ, Martínez-Arrieta R (2006). “Natural sources of drugs of abuse: magic mushrooms”. In Cole SM. New Research on Street Drugs. New York, New York: Nova Science Publishers. pp. 167–86. ISBN 978-1-59454-961-8. Boire RG. (2002). Sacred Mushrooms and the Law. Berkeley, California: Ronin Publishing. ISBN 978-1-57951-061-9. Doblin R. (1991). “Pahnke’s “Good Friday Experiment”: a long-term follow-up and methodological critique” (PDF). Journal of Transpersonal Psychology. 23 (1): 1–25. Gartz J. (1997). Magic Mushrooms Around the World. Los Angeles, California: LIS Publications. ISBN 978-0-9653399-0-2. Marley G. (2010). “Psilocybin: gateway to the soul or just a good high?”. Chanterelle Dreams, Amanita Nightmares: The Love, Lore, and Mystique of Mushrooms. White River Junction, Vermont: Chelsea Green Publishing. pp. 163–84. ISBN 1-60358-214-2. Ott J. (1993). Pharmacotheon: Entheogenic Drugs, their Plant Sources and History. Kennewick, Washington: Natural Products Company. ISBN 978-0-9614234-3-8. Stafford PJ. (1992). Psychedelics Encyclopedia (3rd ed.). Berkeley, California: Ronin Publishing. ISBN 0-914171-51-8. Wurst M, Kysilka R, Flieger M (2002). “Psychoactive tryptamines from Basidiomycetes”. Folia Microbiologica. 47 (1): 3–27. doi:10.1007/BF02818560. PMID 11980266. By DR ANTHONY MELVIN CRASTO Ph.D in Uncategorized on December 22, 2017 .